Recover Roofing and Reconstruction is and A+ locally owned and operated business, providing homes and commercial properties with roof and building exterior repair and reconstruction. At the time, severe hail storms had just hit DFW, and prompted a peak time to reach homeowners. 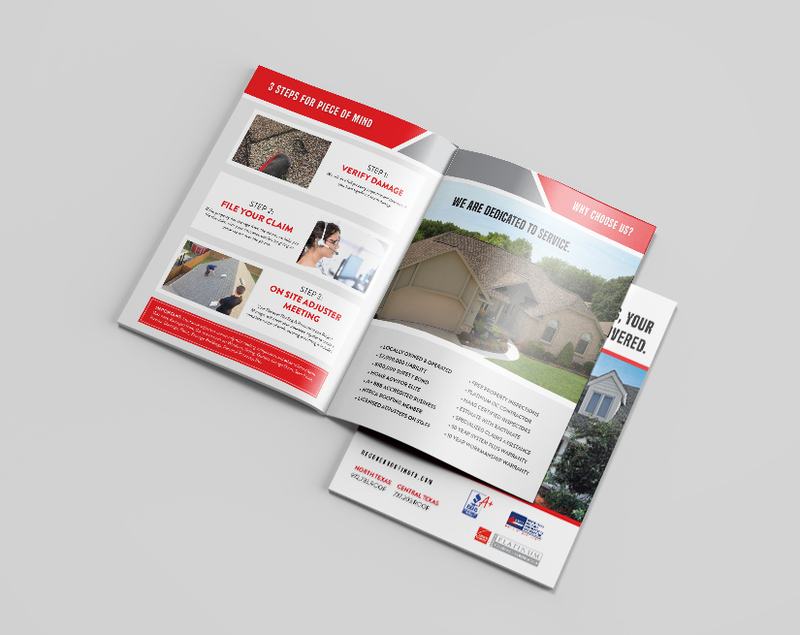 We worked to create a branded marketing booklet for inform homeowners of this company’s services and benefits, with informative guides on the insurance claims process.